20 years ago, Nordnet redefined the financial world as the first digital bank in Scandinavia. Now we are about to do it again. We will build the best customer experience in our field and create next generation bank. We believe that this requires curious people, passionate teams, and smart technology. English is our corporate language, and that gives us the opportunity to recruit sharp people from all over the world. A sort of start up atmosphere still lingers inside our walls. Our work days are characterized by purposefulness, commitment and an unwavering customer focus. Mixed with a rather large dose of playfulness. And even if we really are a bank, we see ourselves as a financially focused IT company. Do you want to join us and build the new Nordnet? Our employees are our greatest asset, and creating the perfect match requires evaluation and commitment from both parties. This gives both you and Nordnet the opportunity to get to know each other, and you, as a candidate, receive several touch points within the organization. Each recruitment journey is unique, which means that our processes are tailored to each role. We look for functional competence as well as values and personality, which we believe are important factors needed to be successful and enjoy being part of our team! Are you curious about Nordnet? Here is your opportunity to look inside our new office, meet our employees and hear how we together are building the new Nordnet. Warm Welcome! 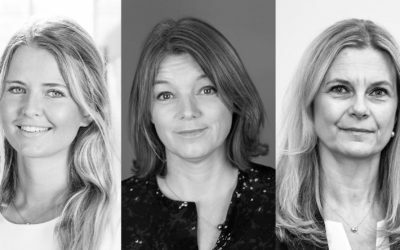 Power Women in Tech is Nordnet’s career network for women in fintech. It’s a meeting place for those who want to meet and be inspired by female colleagues in the industry and expand your network. Sign up here to join the network here. Today is the International Women’s Day, a day that first became an official day for women’s rights in 1977. In honour of the day, we want to praise three successful women at Nordnet with different careers. Meet Christina Juhlin Dannfelt, Head of Customer Operations, Anne Buchardt, Country Manager in Denmark and Karitha Ericson, Board Member of Nordnet. We are always looking for ambitious Savings Experts to our Customer Service who can create added value for our customers. Anna Hallgren 23, and Carl Hannes Rosén 26, are two of our customer service heroes who help Nordnet’s customers to achieve their goals within savings and investments. In 2018, Nordnet received the award “Savings Innovation of the Year” by the largest private finance magazine in the Nordics, Privata Affärer. 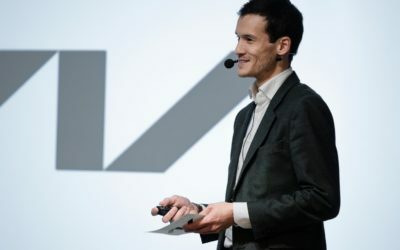 The background to the award is the stock lending program that Nordnet launched in October 2018. Nordnet was also awarded as the “Career Company of the Year” in 2018. The award is initiated every year by Karriärföretagen, that selects the employers that offer the most unique career opportunities to their employees. In 2017, Nordnet was appointed as the “Bank of the Year” by Privata Affärer. In its decision, the jury put emphasis on the large number of product launches during the year and the high level of innovation at Nordnet. During the same year, Nordnet was voted as the “Rocket of the Year” among Swedish business students and appointed as “Best in Industry” among IT students in Universum’s business barometer.